For every person alive today, a score or more have gone before him. Little wonder then that stories of ghosts date back to the earliest days of civilization. 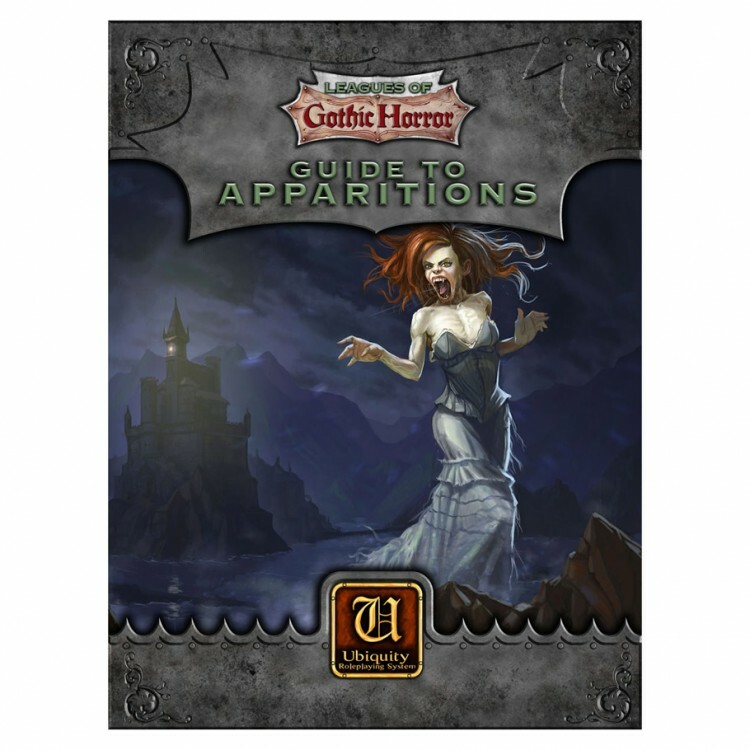 This sourcebook is a detailed guide to ghosts and other haunting spirits for the Ubiquity roleplaying system. Contents of the book include an overview of mankind's view of ghosts throughout time, the nature of spooks and what causes them to materialize, guidelines for creating haunted houses, a list of diabolical ghostly powers for customizing apparitions, a bestiary of common haunts, and a number of unique specters. Guide to Apparitions is part of the Leagues of Gothic Horror range and is compatible with other Ubiquity games.